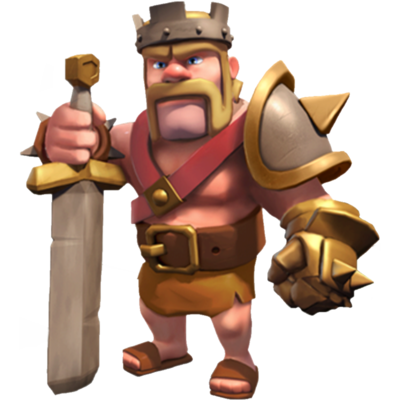 The Barbarian King is one of your Heroes in the Clash of Clans game. This colossal menace soaks up huge amounts of damage and bashes anything in his path. He guards his territory Fiercely when depending, and can launch into a devastating rage when attacking once his Iron Fist ability is unlocked!